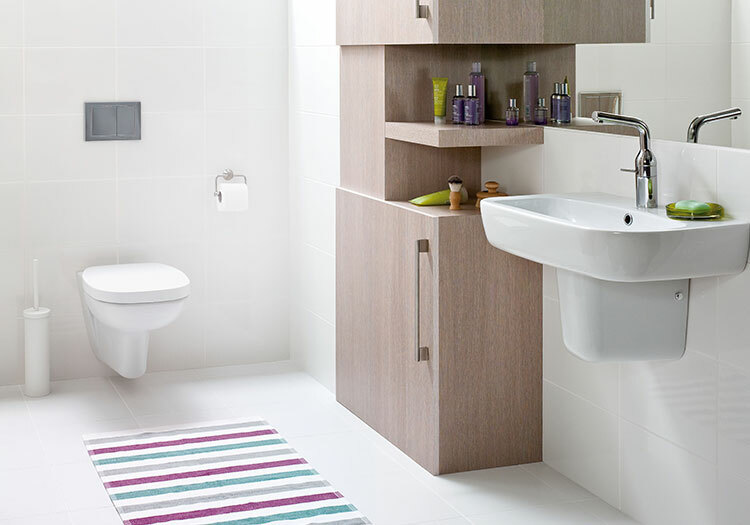 The Facile ensuite offers a contemporary solution at an affordable price. A compact washbasin im soft square design with full pedestal, complemented by close couple WC. Price incudes Close Coupled WC complete with soft close seat & cover. Basin W500 x D395 or W550 x D397 1 tap hole and pedestal. Upgrade your mono basin mixer for an additional €30.Choose one for three!